I enjoy talking about the things I have learn walking this path and I love to share the knowledge that's why I offer lectures and workshops. Sometimes I talk about The Healing Power of Sound, other times about Multidimensionality and some other times about Life and Spirituality. 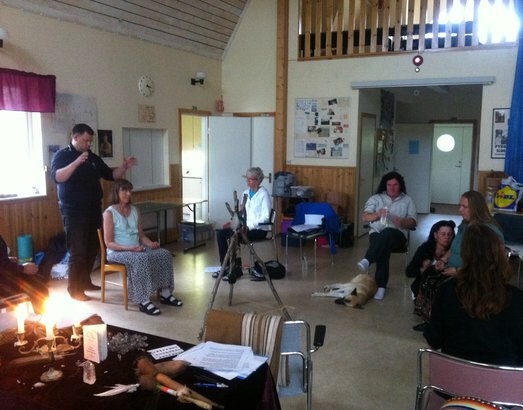 Teaching and training the use of the voice as a healing instrument, not singing just chanting! I heard Grandmother Agnes Baker Pilgrim say that the longest paths we have to walk on earth are the 14 inches from the head to the heart! Those words made great impact in me and I ask myself what can I do to help me and others on this path and I came with the idea of this workshop, using the healing power of sound we work together, strengthening our contact with Mother Earth and opening our Crown chakra to The Universe, starting the healing process of the Throat and the Heart. I believe this will help us going from the Head to the Heart, probably will not take us there but will put us on the path. How to be your own witch, how to performance ceremonies and some rituals that are good to know. 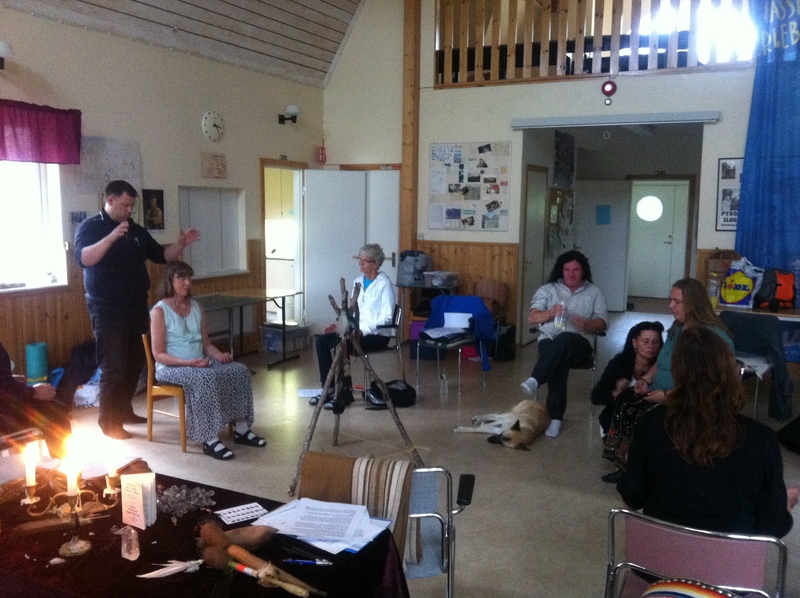 In collaboration with my dear friend Anita Norgren we have Shaman courses, we teach the bases of shamanism. We divide the course in four themes: Energy work, Healing and Consultation, Natural forces & Ceremonies and Rituals, we include Ethics and Moral values in all the themes!